There aren't many amusement parks or water parks in tiny Delaware. Below, we list five locations that are operating in the state, three of which are located in Rehoboth Beach. If you're looking for theme parks (and yes, there are differences between theme parks and amusement parks), you're going to have to travel to hightail it elsewhere, such as Sesame Place in Philadelphia or Busch Gardens Williamsburg in Virginia. New Jersey also has some great amusement parks and water parks. If you find yourself in Maryland, don't miss that state's theme and water parks. In addition to Sesame Place, Pennsylvania has a bunch of other amusement parks and water parks. There used to be more parks. Among the notable ones was Brandywine Springs Amusement Park in Wilmington. The trolley park was open from the late 1800s through the early 1900s and included the Scenic Railway roller coaster that bordered a lake. Blue Diamond Park in New Castle, which was primarily an action sports park that featured ATV and Motocross tracks, used to have amusement rides such as roller coasters and a Ferris wheel, but it eliminated them in 2007. The entire park has since closed. The following Delaware parks, which are arranged alphabetically, are open. Funland in Rehoboth Beach: Funland is one of the country's few remaining free-admission amusement parks. Visitors purchase a la carte tickets. The small boardwalk park offers a few rides. Among its most famous and popular is Haunted Mansion, a classic dark ride (not to be confused with the Disney attraction with the same name). It does not offer any roller coasters, but does have some spinning flat rides including a Gravitron, a Paratrooper, and a SuperFlip. For younger visitors, there is a carousel, a kiddie-sized Ferris wheel, and a spinning helicopters ride. The park also has some games of chance. Funland itself does not offer any restaurants, however there are food concessions along the beach. The park does have a food cart with park fare such as popcorn, cotton candy, and ice cream. Jungle Jim's River Safari Water Park in Rehoboth Beach: The relatively small outdoor water park includes the usual suspects, such as body slides, a lazy river, and a wave pool. Surprisingly, it also offers an uphill water coaster. Younger kids will enjoy the water sprayground, kiddie pool, and the activity pool. In addition to the wet rides, Jungle Jim's also has mini-golf, bumper boats, batting cages, and a cafe. Killens Pond State Water Park in Felton: The small outdoor water park is located in Killens Pond State Park. It includes a large, zero-depth entry pool with a fountain and a lily pad walk, a baby pool with some small slides, and a tot lot with a water curtain, small enclosed slide, and a few other features. For older kids and adults, there are five larger water slides. Viking Golf Family Park in Fenwick Island: Located on the shore just outside of Ocean City, Viking Park offers a variety of activities including mini-golf, go-karts, and Thunder Lagoon, a small outdoor water park. 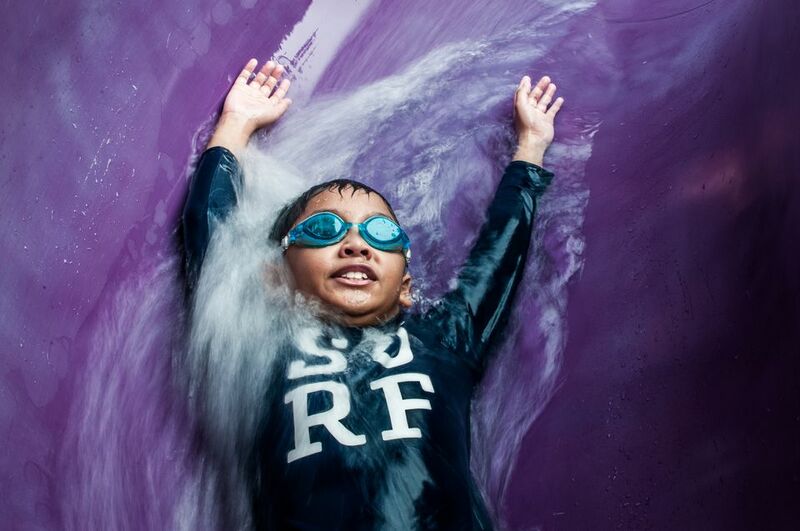 The water park includes a lazy river, water slides, an activity pool, a kiddie pool, and an interactive water play center with a tipping bucket. Food concessions along the boardwalk include ice cream, donuts, funnel cakes, pizza, and smoothies. White Water Mountain and Midway Speed Park in Rehoboth Beach: White Water Mountain is a small outdoor water park that includes a few water slides, a lazy river, and a pool. Midway Speedway Park also offers dry rides, including multiple go-kart tracks, mini-golf, bumper boats, a climbing wall, and some other attractions.